There has been a lot of emphasis on church planting in recent years, and rightly so. Where villages, towns, or areas of cities are without a gospel church, planting one there is a vital means of discipling believers in the locality and reaching the community for Christ. But what of places where there already is a gospel church, but the work is in danger of fizzling out? That is where church revitalisation comes in. Which, I would venture to suggest in an urgent priority for many churches in the UK at this time. Churches may be in need of revitalisation for a number of reasons. 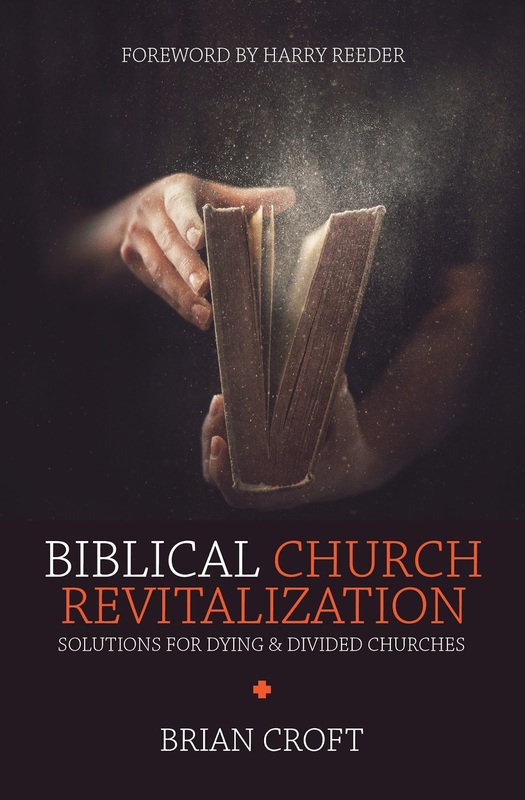 Brian Croft's book is directed at helping pastors turn around churches that have become badly dysfunctional in the way they are run, and as a result have become spiritually stunted and inward looking. Croft was called to Southern Baptist Church in the USA that had a reputation for chewing up and spitting out pastor after pastor. By the grace of God the situation was transformed and the church is now in a much more healthy place. The writer does not offer a 'silver bullet' formula for breathing new life into moribund churches. He acknowledges that ultimately only the power of God can do that. But the Lord is pleased to use the means laid down in the Scriptures. Pastors involved in church revitalisation need to be men who are dedicated to God-dependent prayer and the authoritative preaching of the Word. They must be willing to give loving pastoral care to believers who may have been left bruised and broken by their involvement in a difficult church. In some situations biblical patterns of authority and leadership may need to be recovered, such as the plurality of elders who share in the pastoral oversight of the flock. Somewhat confusingly, but for reasons he explains, Croft speaks of the 'plurality of pastors'. The book offers a healthy dose of realism. Some of the examples Croft gives of just how bad things were in the early days of his pastorate are hair raising. Plots were hatched to oust him. Some church members were bitterly critical of his ministry. But as he prayerfully persevered, things began to change. Croft emphasises that men involved in church revitalisation work don't need to be super-pastors. The Lord is pleased to use broken people to turn around broken churches. But pastors in difficult situations are going to need spiritual resilience, grit and determination if they are going to stay around for long enough to see the Lord work to turn the church around. The writer acknowledges that mistakes were made along the way and patience was needed on both sides. I'm not sure that he acted wisely when he saw off an opponent with a threat to block his future ministry prospects unless he backed down from causing trouble in a members' meeting. To my mind, a man with such an ungracious attitude was an unsuitable candidate for church ministry full stop. The person in question should have been blocked from ministry as a matter of principle, unless a change of heart was in evidence. It's a reminder that no pastor gets it right every time. Especially when fighting on all fronts it isn't always easy to pick our battles. Thankfully, it it Christ's church, not ours and he is able to overrule our blunders. Aspiring pastors considering a call to a 'challenging' church will be able to do so with their eyes open having read this book. They will find encouragement here to look to Lord in their struggles, knowing that his strength is made perfect in weakness. That said, no book can fully prepare a man for the sometimes harsh reality of the ministry. In a way all pastoral ministry is church revitalisation work, and brings with it suffering and trials, as well as great joys. 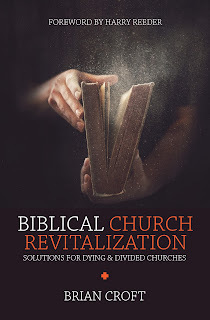 This volume on church revitalisation will not provide answer for every ailing fellowship. Some may be dying because they have become inward looking and out of touch with their local communities. Others may be making every endevour to reach out, but, as yet have seen little discernible fruit. Croft does not address those kinds of scenarios. But as this book shows, difficult churches should not simply be written off. Dry bones can live by power of God's Word and Spirit. The text could have done with a bit of de-Americanisation for the UK market. E.g. I was surprised to learn that Southern Baptist Churches are unique in having a congregational form of church government. That will come as news to FIEC and Grace Baptist Churches in the UK, to say no more. A good one for men who are training for pastoral ministry. An encouragement to brave souls battling it out to revitalise a dying and divided church.